September 17, 2012 By John P.
Seems like billions of books and diets are being sold to try and teach people how to lose weight. But you don’t need any of them! You’re biologically programmed to lose weight! In fact, every minute of every day you are consuming energy just breathing, pumping blood with your heart, and converting chemical energy to electrical energy for your nervous system to function! There is no doubt that as a human you need food, or you’ll literally starve to death and die because you are constantly burning calories for energy to survive! So the only question is – how much food do you really need? We’re going to explore the very simple math by using me as a test subject. Keep in mind that the numbers will vary somewhat based on gender and other factors. Still, the percentages are all about the same. Before we get started though there is just one magical number to remember: 3,500. 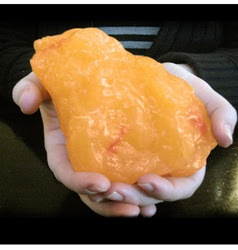 That is how many calories are in a pound of fat. So if you want to lose it, you have to consume 3,500 fewer calories than your body needs to operate. Here’s the catch. Knowing how many calories you need to consume is only half the problem. How many are you actually burning? That’s the real question! You can calculate exactly how many calories you burn per hour here. As for me, on an average day with no exercise I burn around 1,900 calories. But if I just add 15 minutes of pushups and 15 minutes of weight lifting, like arm curls, it burns about 200 more calories. This means that if I can just do a little exercise each day, and if I can limit my eating to about 1,300 calories, I’ll have a 900 calorie daily deficit (2,200-1,300). Which means I’ll lose a pound of fat every 4 days at most. Even if I felt lazy though and didn’t do any exercise, I would still burn a pound of fat every week. At an extreme, you can imagine that if I didn’t eat for two days straight I would only lose a little over a pound. Discipline. DISCIPLINE! That is the ONLY thing standing between you and weight loss! You can’t eat your way to losing weight! Rice cakes, Jenny Craig, Atkin’s diet… they are all crap! Eat whatever the hell you want, but don’t exceed about 65% of your individual daily calorie burn rate. It is literally impossible for you not to lose weight this way! I know you’re going to want to snack on things. You’re going to feel hungry. It’s going to be tough, and you’re going to think you can’t do it. but I guarantee you can! In the Marine Corps they worked us like dogs, underfed us, and generally made us miserable. But have you ever seen a US Marine who didn’t have a body of steel? Hell no! You CAN do this! But you’re going to need distractions. So get rid of your normal routine. If you get munchy sitting around watching TV – stop it! Go to the mall and walk around instead! Do things with friends, get a bike. Just don’t eat more than you absolutely have to in order to survive. DISCIPLINE PEOPLE! That’s the whole secret. yes i know calories are really important for a person to be healthy but in a limited amount. there are many supplements in the market that help in weight lose Capsiplex being one and ofcoure the phen375 tablet.! I agree. I have battled the bulge all of my life. 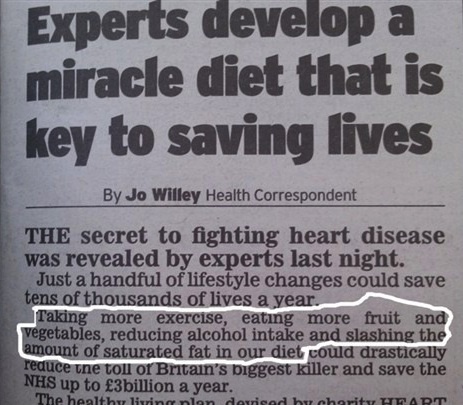 Consume fewer calories and exercise more. Discipline, it’s what’s for dinner.